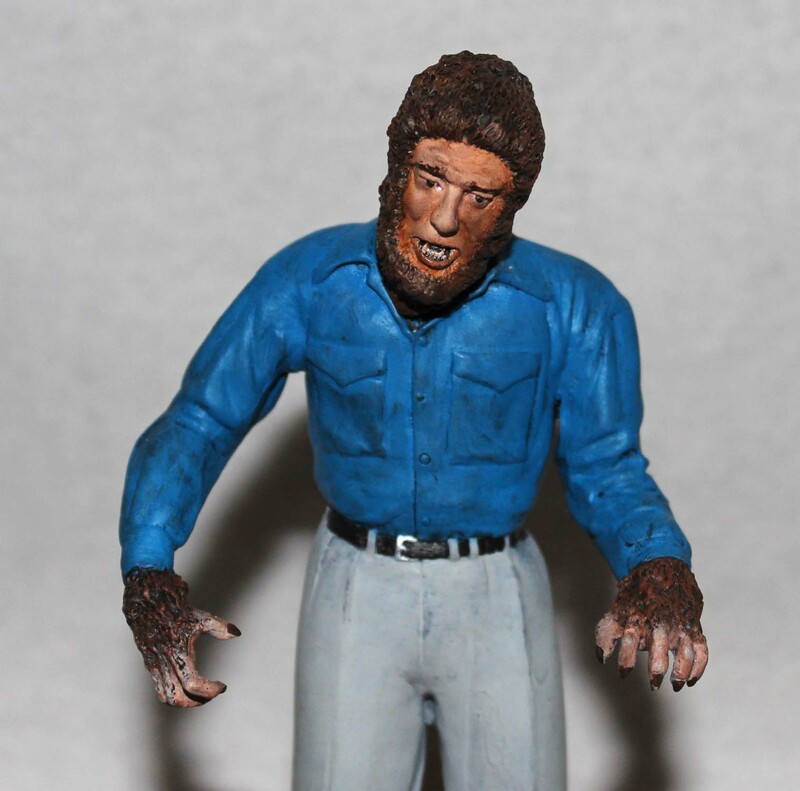 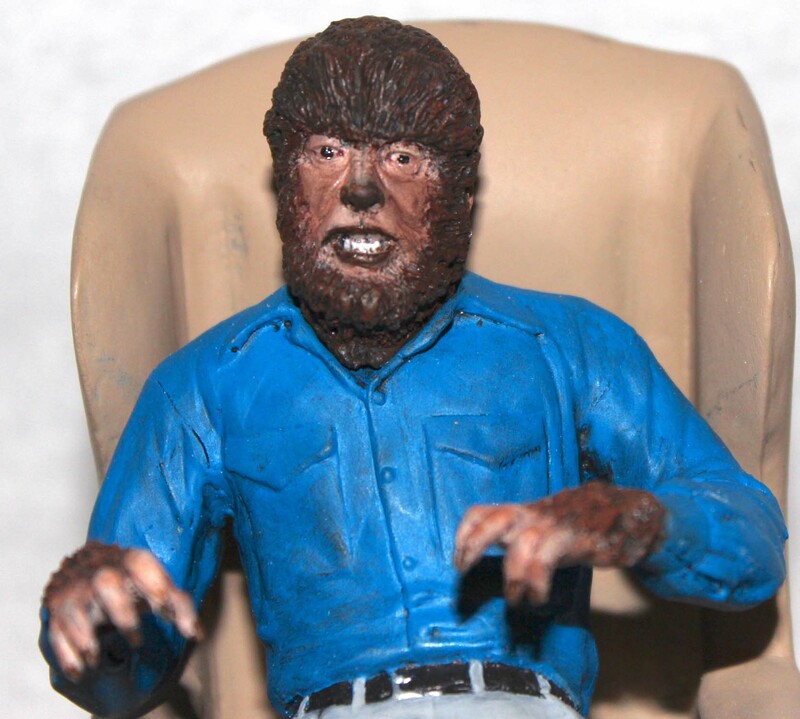 In the opening of the A&CMF film Larry Talbot undergoes a transformation into a werewolf. 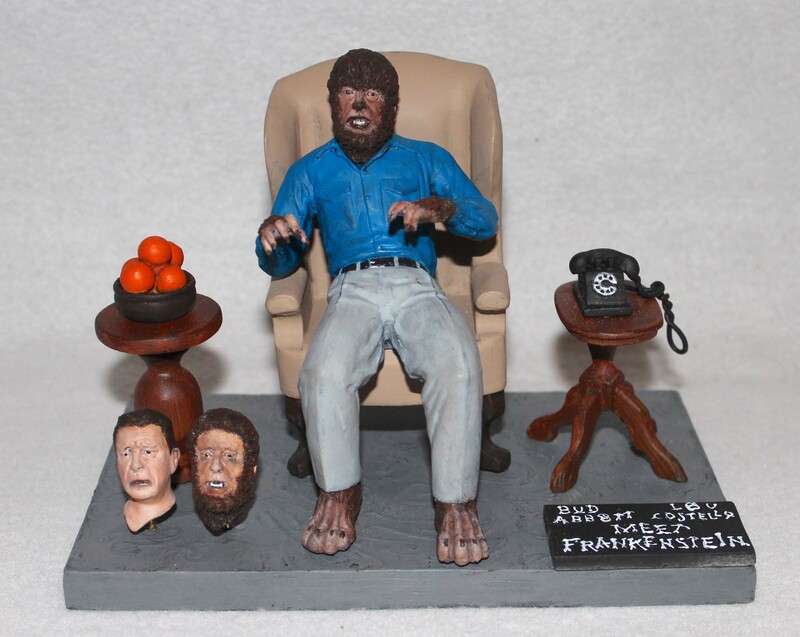 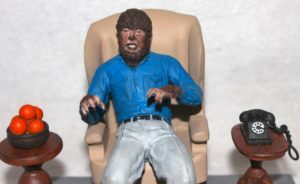 In this scene he is sitting in a chair while transforming and this 1/12th scale scene from Monsters in Motion effectively captures this scene. 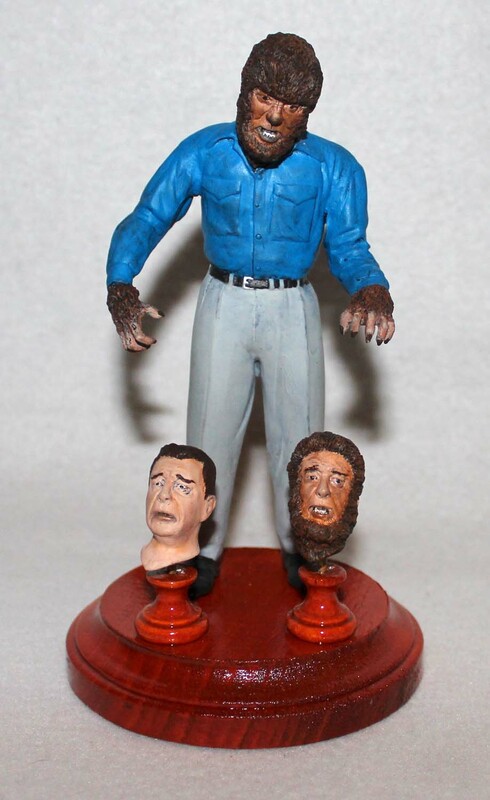 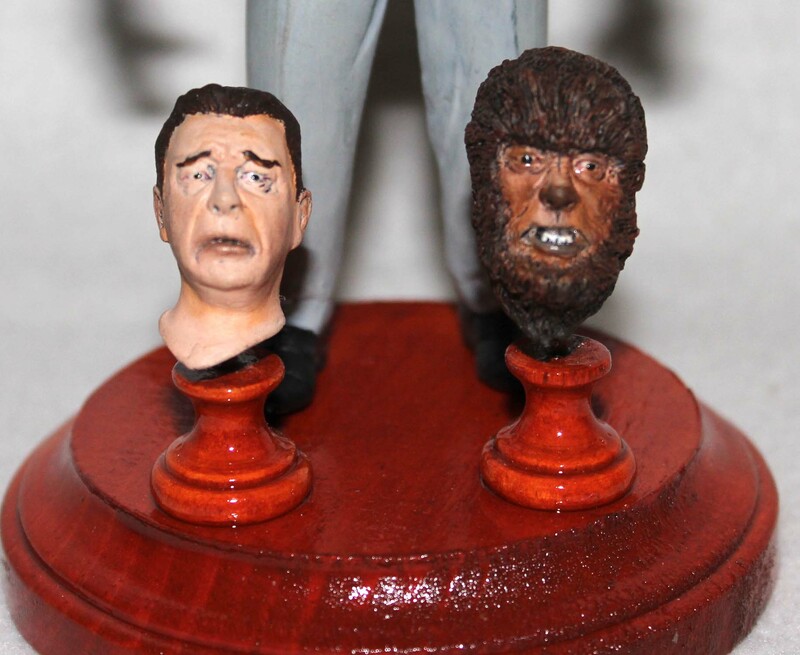 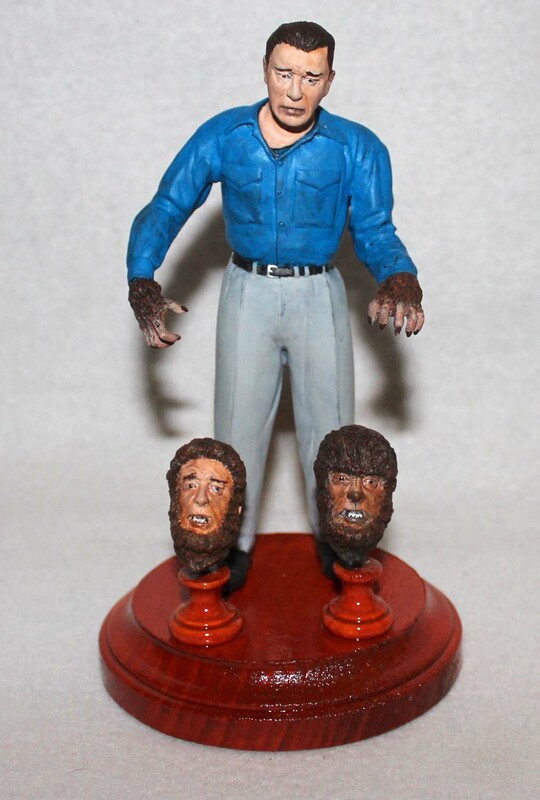 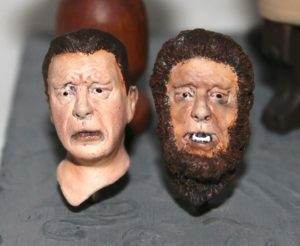 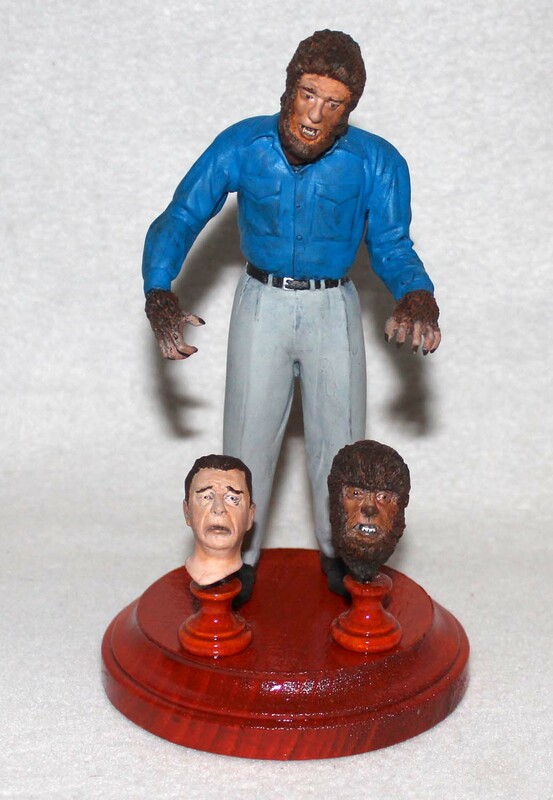 The figure comes with three different heads: Larry Talbot, mid-transformation, and transformed head. 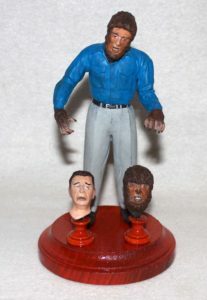 This was built up so the heads could be interchangeable.